Why Choose RJG Training? - Training - Injection Molding | Injection Molding Training, eDART System, RJG Inc. Traverse City, Michigan, MI - RJG Inc.
There’s a reason why RJG injection molding training is specifically requested in industry-wide help wanted ads. We don’t have “trainers”—instead, our problem-solving, troubleshooting consultants show others how to do what they do so well. 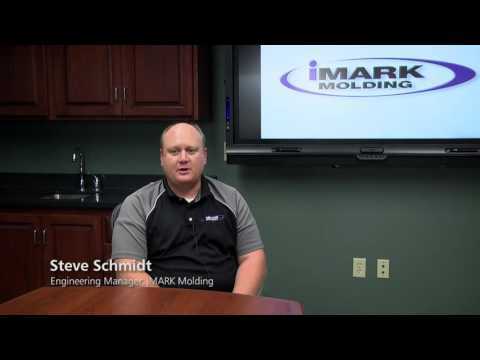 With over 100 years of combined experience in scientific molding from the plastic’s point of view, our consultants transfer their knowledge as well as share their industry and consulting experience with our students. As a result, RJG training graduates are able to deliver substantial time and cost savings to their employers, whether it is through developing new products or managing existing projects. Many employers also now use our training program to fast-track mechanically inclined, motivated entry-level personnel into higher level technical positions, thus saving recruitment time and money. What makes RJG training different? In short: participant-centered learning. Research has shown that 80 percent of lecture-based learning is forgotten within 24 hours. Over the years, RJG has transformed our teaching techniques to overcome this obstacle and create the most effective training courses possible. RJG's training is so effective that it won the 2015 Pike's Peak Award. The difference is that we don't just offer training, we offer an outstanding participant-centered learning experience. We've worked with experts in the training field to create a program that provides the perfect balance of lecture and activity-driven teaching styles. This training format significantly improves students’ understanding and retention of all course content. At our state-of-the-art training facilities in Traverse City, Michigan, USA, Woodstock, Georgia, USA, Gibsonville, North Carolina, USA, and Peterborough, England, UK. At your own facility through customized in-plant training sessions or on-machine coaching and mentoring services. Grant money may be available to assist you. Contact our corporate office at 231-947-3111 and ask for your RJG Account Coordinator to see if any resources are currently available in your location. Interested in discounted training? MAPP members receive discounts on RJG training as well as other great benefits. Learn more.